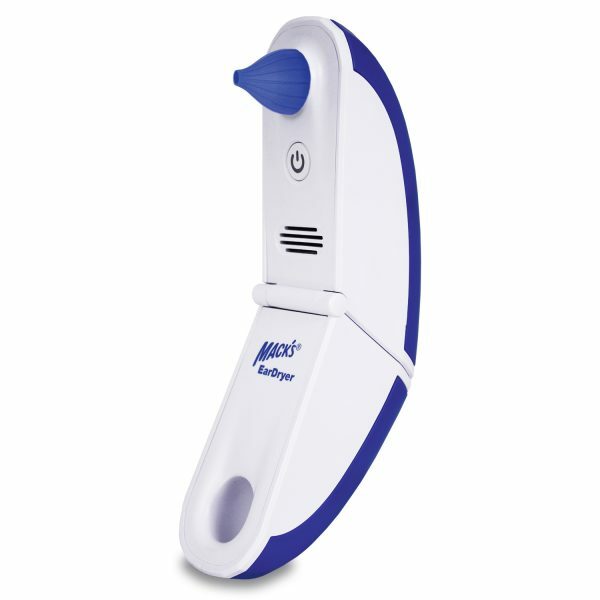 Invented by an Ear Nose & Throat Specialist to safely and effectively dry the ear canal where bacteria and fungi can grow. Dries water from swimmers’ ears in about one minute. Controlled maximum temperature, airflow, cycle time and noise volume. Safe for all ages. Folds shut for convenient storage and travel. 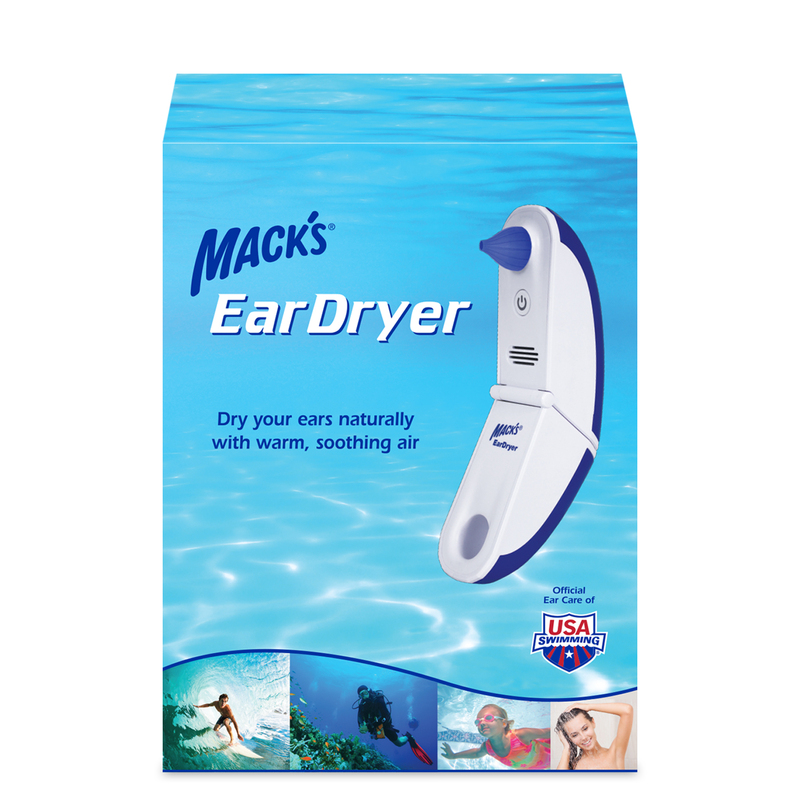 Dry your ears naturally with warm soothing air. 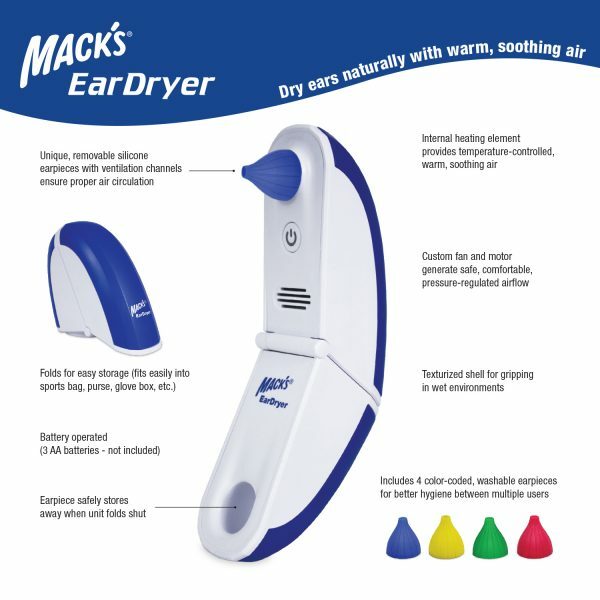 Invented by an ENT doctor to safely and effectively dry the ear canal where bacteria and fungi can grow. Use after swimming, bathing, water sports, hearing aid use, scuba, etc. Includes 4 colour-coded, washable earpieces. Requires 3 AA batteries (not included). The EarDryer emits warm air that is regulated close to your body temperature. This is important as your ears are the balance centre of your body. By emitting warm air, the ear canals are dried. By regulating the temperature so that it reflects your body’s temperature, you are ensured a comfortable and effective drying experience. Other methods such as a hair dryer or similar blowing device are not custom made to the sensitive requirements of your ears. Time, temperature, air flow, and noise levels are not regulated with other devices, which can render them unsafe. 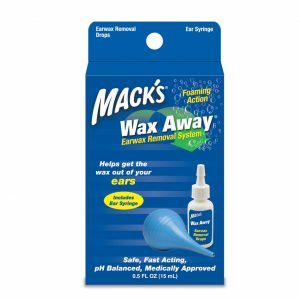 Ear drops, while effective, may be considered less comfortable. The simplicity combined with the safety and effectiveness of the EarDryer makes it a truly effective and superior ear drying device. The earpieces are made of silicone and do not contain any latex. The patented Mack’s® EarDryer has a customized computer chip which directs the heater and fan to blow a regulated flow of warm air into the ear canal. The colour-coded earpiece channels the warm air into your outer ear canal. Each earpiece is specially designed to exhaust the airflow from the ear canal along with the evaporating moisture. In most cases all the moisture trapped in your ear will evaporate in about a minute, leaving your outer ear canal dry and safe. 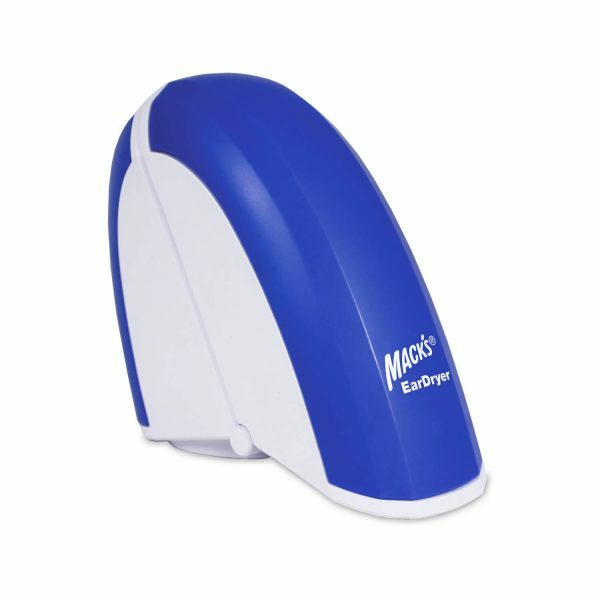 Is Mack’s® EarDryer safe for individuals who have perforated eardrums or mastoid bowls? Yes, the EarDryer introduces only warm dry air into the middle ear or mastoid bowl, and it is the retained moisture that can cause problems for these individuals. However, the drying process may take more than one cycle to completely dry the ear canal. Each Mack’s® EarDryer comes with 4 interchangeable, colour-coded earpieces, so that each family member can have their own colour-coded earpiece. This helps promote good hygiene and decreases the chance of spreading infections such as swimmer’s ear; similar to brushing your teeth with your own toothbrush. Myself and my youngest daughter are prone to ear infections, we both use this after we swim and it works a treat, I really recommend it. I ordered the ear dryer on a public holiday. I expected no response and not to see the product for weeks. Imagine how surprised I was to receive an immediate response including a receipt and tracking . Even more surprising was the fact I got the dryer within a day or 2. My 8 year old son loves it and dries his ears after each shower. Thanks to the Ear Store the little man no longer gets weekly annoying ear infections! 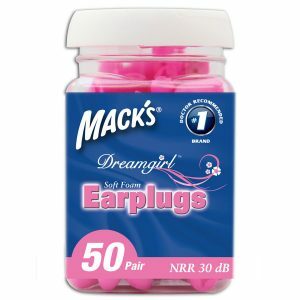 Thank you Ear Store – your service is amazing!! I AM VERY HAPPY with your service and even happier with this top quality unit; it is brilliant in both performance and design.